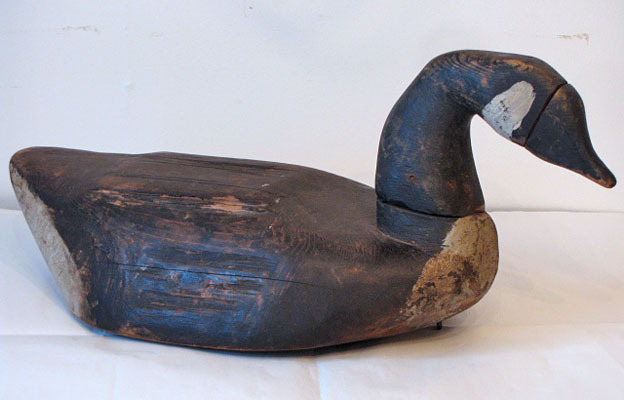 American carved wooden goose decoy in original paint and condition. 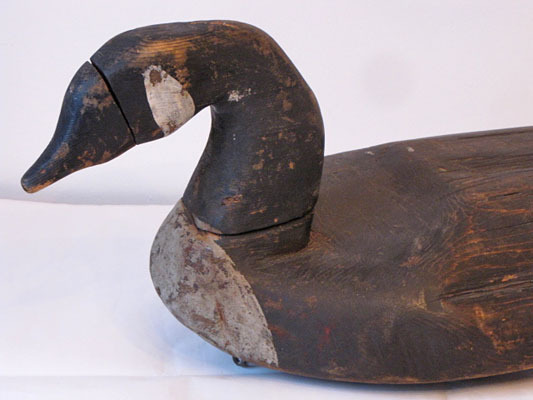 This is a working decoy as the staple for the weight is in the breast area, found in Northern New York State. Measures 24" long and 11" wide.